I am putting together a series of blog posts about Radio Free Europe and Czechoslovakia, 1968.
from East Germany into Czechoslovakia in support of the Soviet invasion and occupation. There is little coverage in English about Radio Vltava but some information in German and Czech. 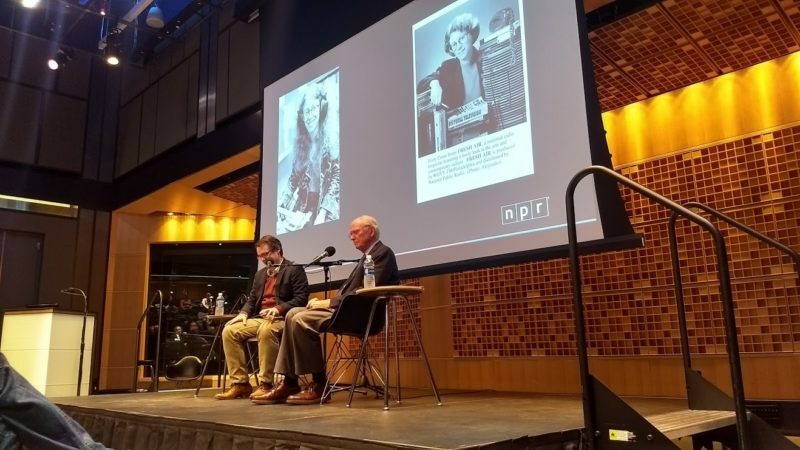 I also was able to come up with an audio of one of the first broadcasts as the station signed on. I thought, and perhaps others, might find the blog interesting. Of course, if you (or others) see a need for corrections in the blog post, or have comments, please let me know. Fascinating, Richard! 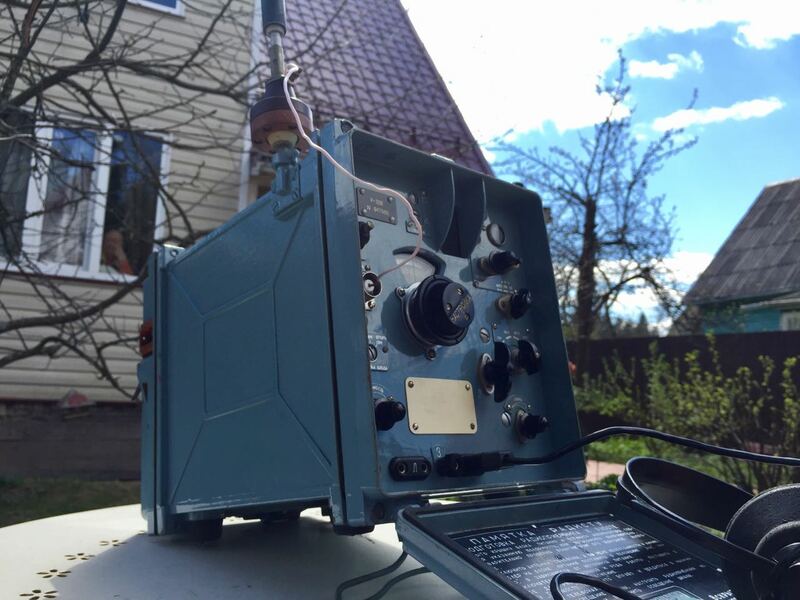 Thank you for sharing–I really enjoyed the off-air recording of the Radio Vltava sign-on and interval signal. 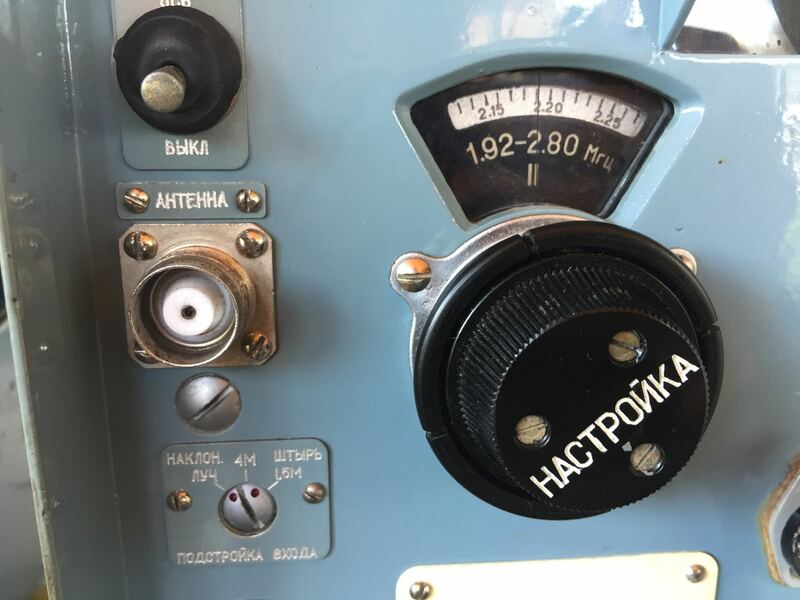 This entry was posted in News, Nostalgia, Radio History and tagged Cold War Radio, Cold War Radio Vignettes, Radio Vltava, Richard Cummings on August 18, 2018 by Thomas. I believe the piece of Soviet military equipment I recently bought to my collection would be interesting to all readers and contributors. 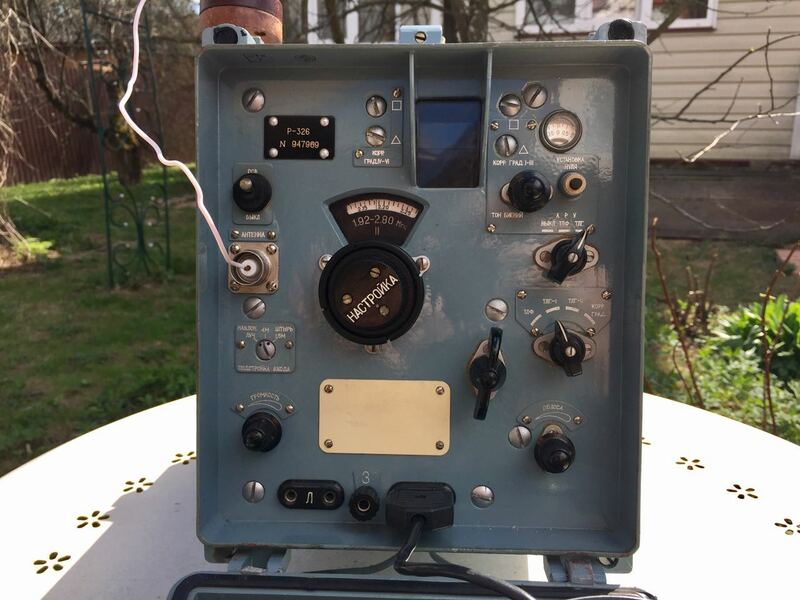 This is the R-326 “Shoroh” (“Rustle”) general coverage military tube shortwave radio receiver. These were produced decades ago, back in 1963. These portable receivers were in active military use in the Soviet Army until the early 2000s, when the R-326 was finally discontinued . Today, this set is no more a spy secret, but a great collector’s item and also a good receiver for home use. My set cost me about $150 US, which is rather expensive for this radio. The R-326 was plentiful in the local market in 90-s, right after the fall of the Soviet Union, very cheap and popular between radio amateurs, but nowadays this radio has become more and more rare, so the price rises up. My R-326 arrived from Khabarovsk city, the Russian Far East, where, I believe, for many years it was on duty in some of the Soviet radio intelligence and defense forces division. 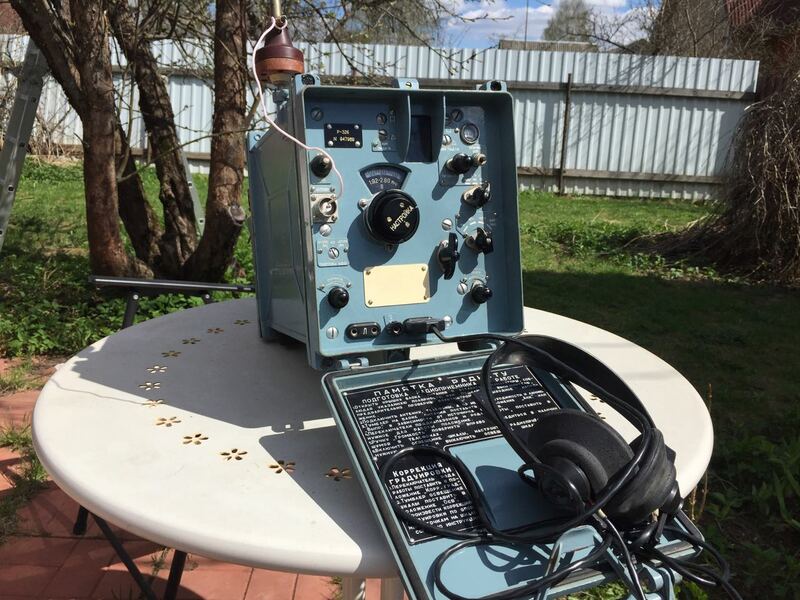 The set includes the radio itself, original military 100 ohm headphones, original rectifier box for 2,5 V output, 12 meter long wire antenna on a reel, the 1,5 meter famous “Kulikov” mini-whip antenna, the isolator for placing it on top of the radio and some minor accessories. Originally, the R-326 radio came with two batteries–1,25 V each–for field use, but mine are totally drained and need to be serviced, so I haven’t used them so far. The radio is a light-weight, only 33 lbs, which is a real minimum for Soviet military equipment–the famous R-250 radio’s weight is up to 220 lbs–so, in comparison, this unit is really portable. You can easily put it in your car using the attached leather handle and take it with you on a weekend trip. 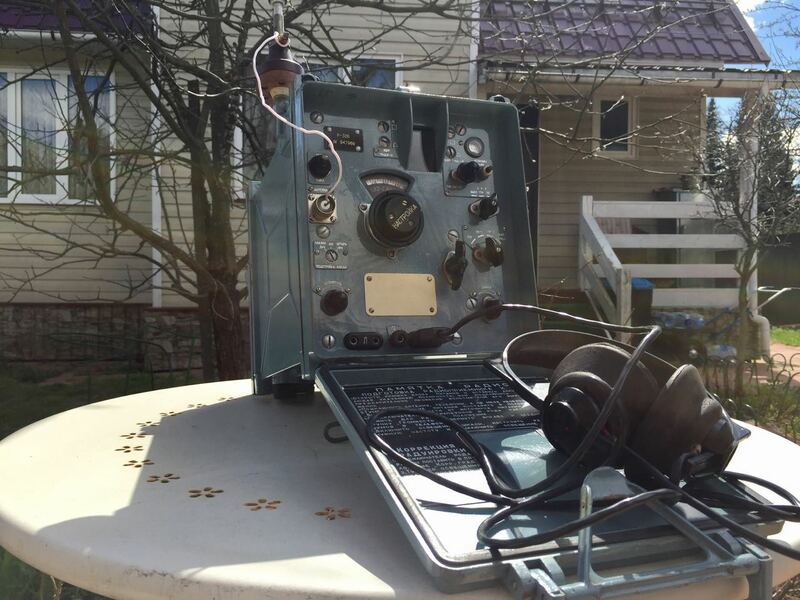 No other military radio can be so “travel-friendly”; this is one of the reasons it was so popular in the ham radio and SWL communities. The case is made out of steel and looks so solid you may want to use it as a nutcracker. And you can! In no way could you harm the box constructed to resist nuclear attacks. It is waterproof and sealed–so I can be confident that no previous owner has ever tried to solder something in the guts. The radio is a super heterodyne containing 19 (!) special mini tubes and covering 6 SW bands, from 1 to 20 MHz. It works in both AM and SSB (CW) modes, having an on-board adjustable bandwidth control from 300 Hz to 6 kHz. 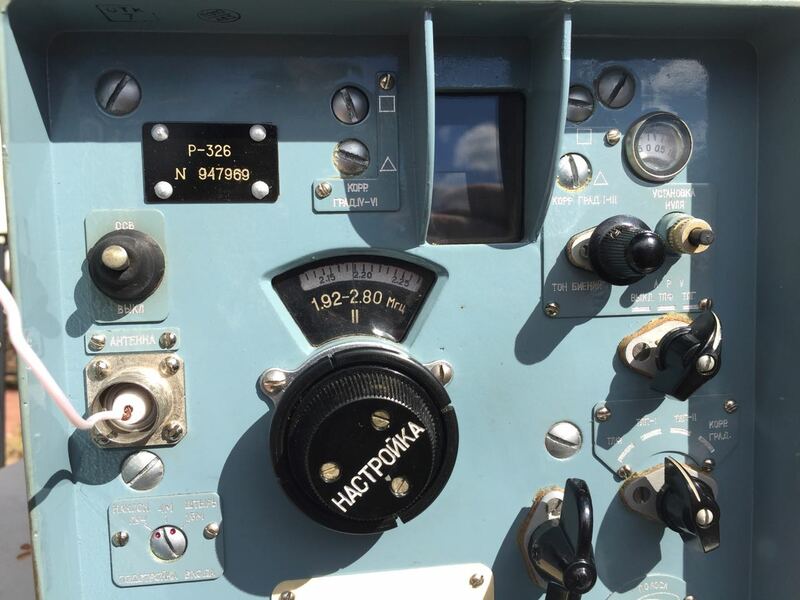 On the front panel, there are two scales: one is rough/coarse, and above is the precise one, a so-called photoscale, which may be adjusted to match real radio-frequency using the four screws near the sun protection visor. With this scale, you don’t actually need a digital readout. It also has a BFO control with a zero setting, adjustable AGC levels for AM and CW, and adjusting screw for matching the antenna input, as marked for 12 m long wire, 1,5 m and 4 m whip. The radio has no built-in speaker. Instead, there are two output sockets on the front panel, for 100 ohm headphones and 600 ohm line-out. The power consumption is very low for s tube radio, the rig needs only 1,4 A at 2.5 volts DC (including the lightscale). I use the original power transformer (transistor rectifier) and therefore switch the unit into the 220 AC outlet. 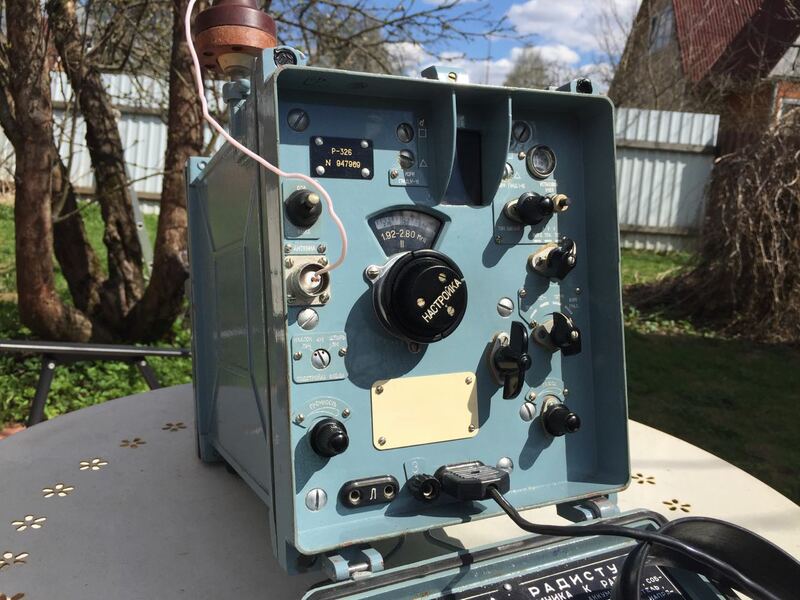 The sensitivity of the radio is extremely high and equals some modern transceivers. The selectivity is also impressive. No doubt it was really great for 1960s. 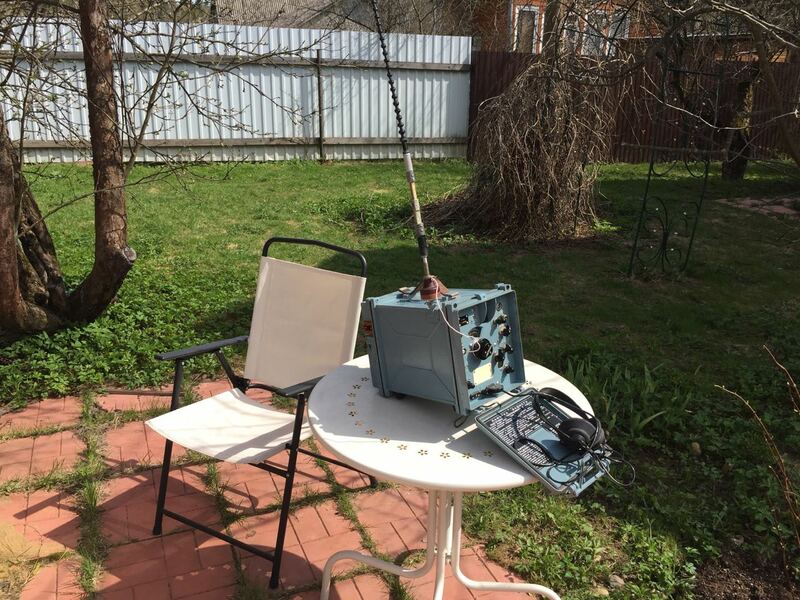 But there’s negative side as well: the radio easily overloads even from the outdoor long wire antennas. The best fit is the “Kulikov” mini-whip that you can see in the photos. When you switch on the radio, you hear noise, the level of which seems high, so you lower the volume down. Yes, the radio is sensitive and a bit noisy. But thanks to the tubes it sounds really amazing in the headphones. The SSB ham operator’s voice is warm and very clear. The tuning is very smooth, being actually 2-speed: outer wheel is for fast tuning, inner wheel for precise tune. It’s absolutely obvious that nowadays a simple Degen or Tecsun may be more useful than this old and heavy unit with big and tough knobs and switches. But what a pleasure sitting in front of this perfect tube radio at night, with the headphones on, turning the huge tuning wheels, looking into the moving dim scale, listening into distant voices and rustles, feeling yourself a Cold War times operator near the rig. Indeed the experience is priceless, Dennis! Better yet, your R-326 now has an owner that will keep it in working order and enjoy it on a regular basis. 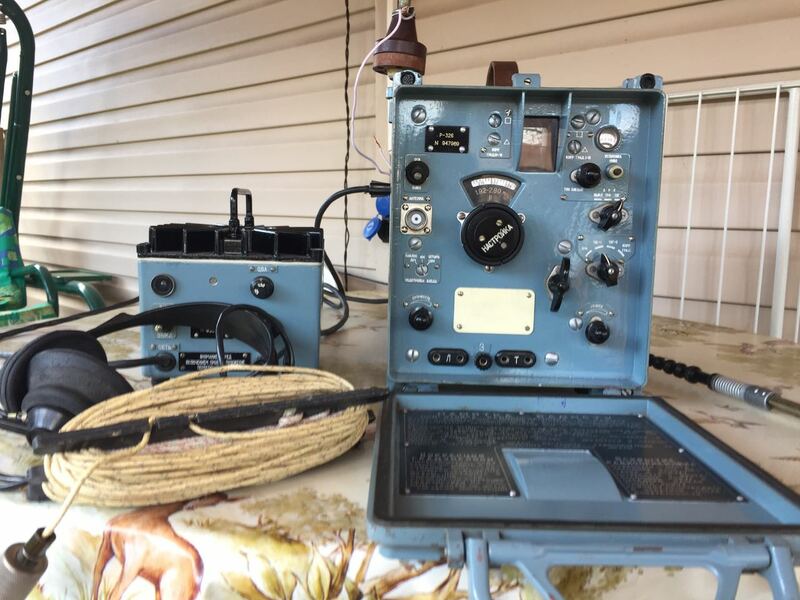 I personally believe keeping these vintage rigs on the air is one way to preserve, and experience first hand, a little of our collective radio history. Thank you so much for sharing your review and excellent photos of the R-326! 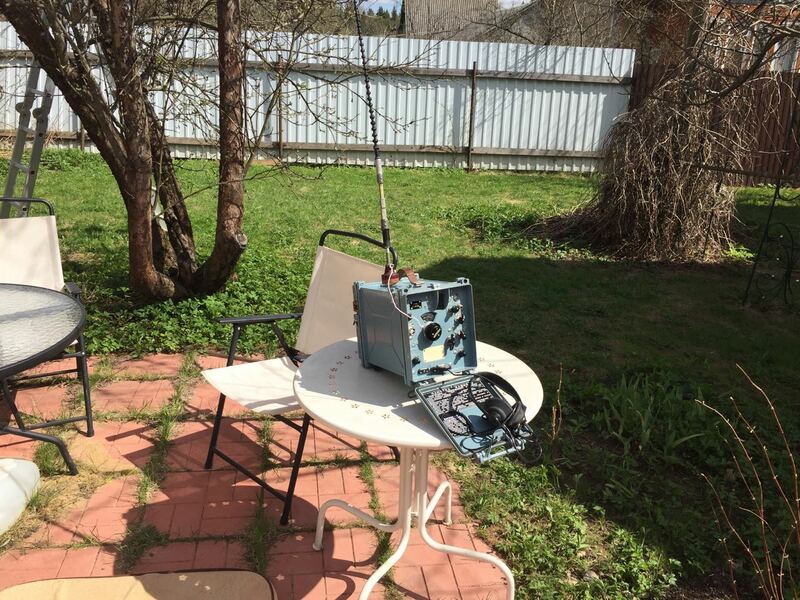 Post readers: If, like Dennis, you have a vintage radio you would like to showcase/review here on the SWLing Post, please consider submitting your story and photos. Being a huge fan of vintage radio, I truly enjoy reading through and publishing your reviews. I know many other readers feel the same! 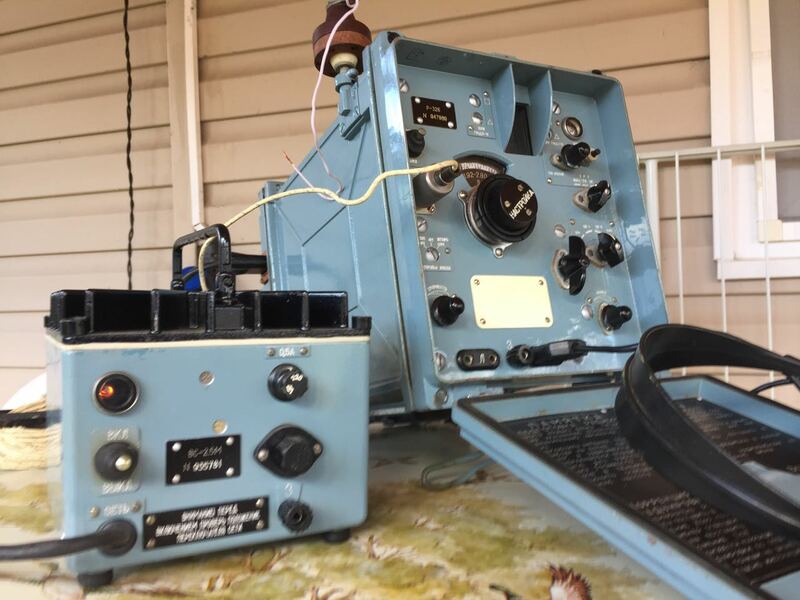 This entry was posted in Guest Posts, Ham Radio, News, Nostalgia, Radio History, Radios, Reviews, Shortwave Radio, Shortwave Radio Reviews, Vintage Radio and tagged Cold War, Cold War Radio, Dennis Kalinichenko, R-326, Radio Reviews, Shoroh R-326, Shoroh R-326 military radio, Soviet Union, Vintage Radio on May 7, 2017 by Thomas.